This stylish industrial pendant by Benflux is full of character. 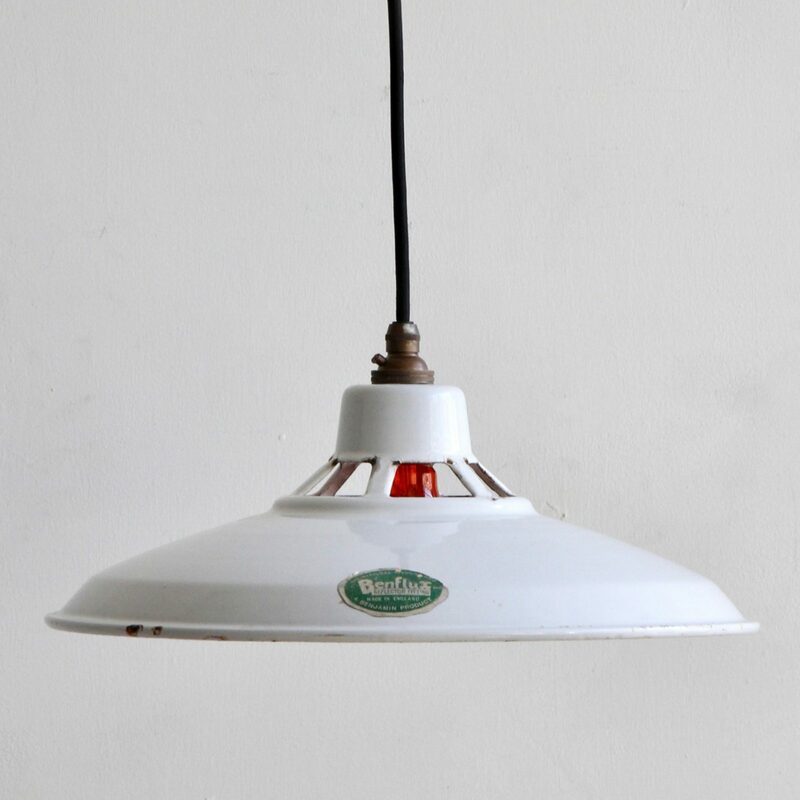 Made of white enamel it has a striking cage-top, slight rust patches, small antique brass gallery and rounded black flex. It hangs beautifully either alone or as part of a series. Pendant requires E27 lamp. We have six available. Each in varied conditions. Priced individually.